By: Schmitt and Michael N.
Tallinn Manual 2. 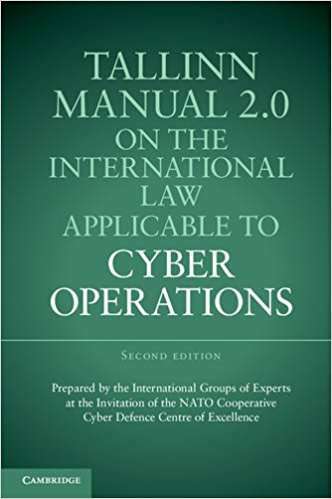 0 expands on the highly influential first edition by extending its coverage of the international law governing cyber operations to peacetime legal regimes. The product of a three-year follow-on project by a new group of twenty renowned international law experts, it addresses such topics as sovereignty, state responsibility, human rights, and the law of air, space, and the sea. Tallinn Manual 2. 0 identifies 154 'black letter' rules governing cyber operations and provides extensive commentary on each rule. Although Tallinn Manual 2. 0 represents the views of the experts in their personal capacity, the project benefitted from the unofficial input of many states and over fifty peer reviewers.